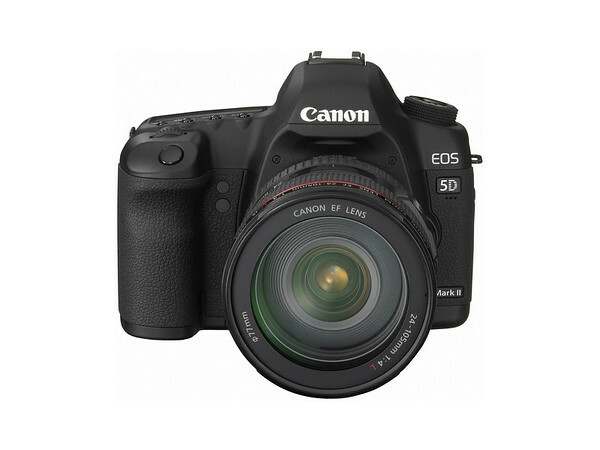 Stay tuned to Photography Bay’s Canon 5D Mark II Reviews and Resources for the latest. Here’s a hands-on preview of the Canon 5D Mark II from Digital SLR User. After a three year life, the Canon 5D has finally been replaced. Canon has, after much anticipation and rumors, announced the Canon 5D Mark II. The 5D Mark II follows in the formidable foot steps of its predecessor with a full frame sensor, which packs in 21.1 megapixels and features sensitivity settings up to ISO 25,600. 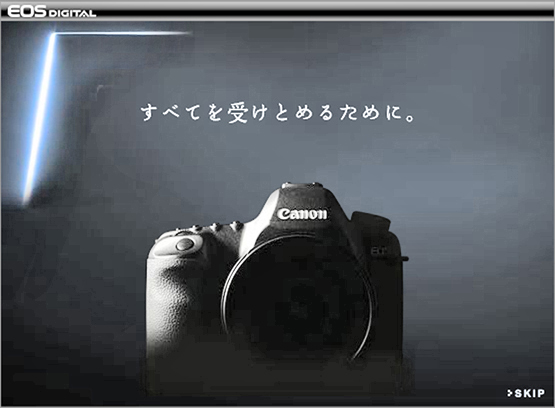 Canon has updated it’s teaser for the 5D Mark II yet again. Nothing groundbreaking, just a little more light and now you can make out the word “Canon” for sure on the new camera. And here’s the final image with levels lifted a bit to show off what we think is the “5” and additional features that Canon hasn’t colored over on the camera itself. Do you think 5 phases of this teaser will be enough for the Canon 5D Mark II? Are you bored, excited or simply indifferent with regard to Canon’s teaser? A little bit more of the mystery camera can now be seen. The “Canon” and “EOS” emblems can made out in the teaser if you squint hard enough. Preview posts here and here. 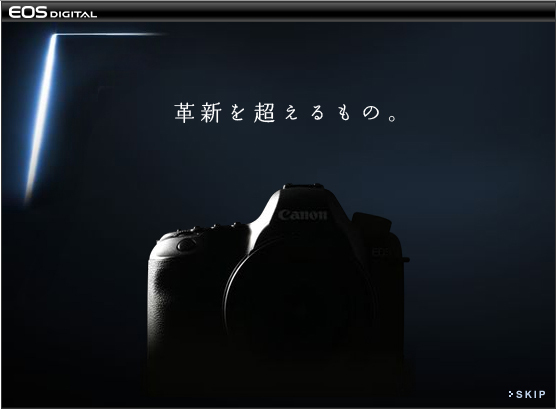 The official announcement of the Canon 5D successor is imminent. Additionally, EN is confirming the announcement date of September 17th. 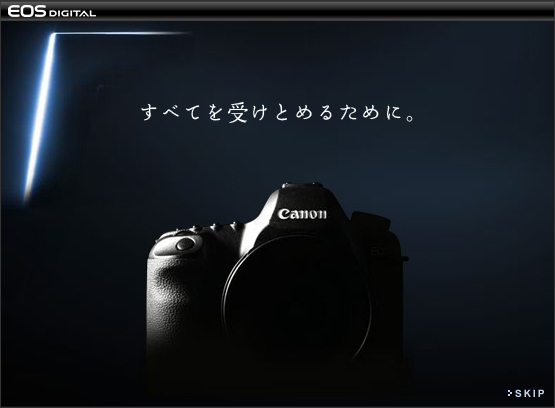 For the latest word on the Canon 5D Mark II, stay tuned to Photography Bay’s Canon 5D Mark II page. Cnet Asia is reporting that they’ve all but confirmed Canon’s release of a follow up to the Canon 5D later this month directly from the horse’s mouth. 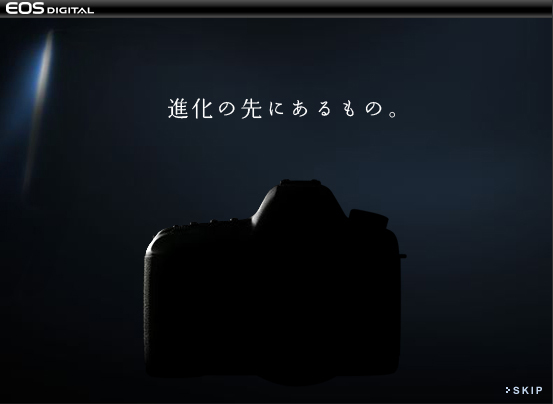 We have word from Canon that it will be unveiling a new dSLR later this month. While the company didn’t indicate which unit it will be, it did mention to us that it will replace a “long overdue model”. Stay tuned to Photography Bay’s Canon 5D Mark II Reviews and Resources for the latest news and reviews on this 21.1 megapixel DSLR. 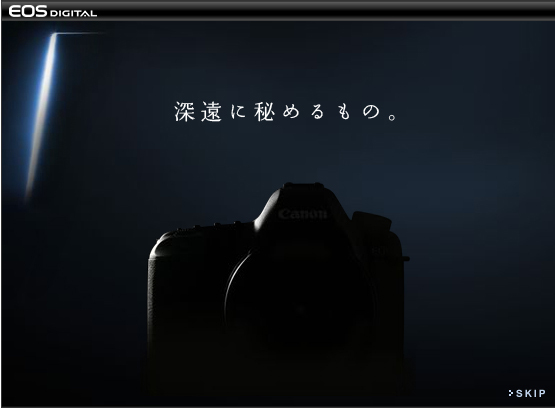 Canon has, after much anticipation and rumors, announced the Canon 5D Mark II. The 5D Mark II follows in the formidable foot steps of its predecessor with a full frame sensor, which packs in 21.1 megapixels and features sensitivity settings up to ISO 25,600. Below you will find an abundance of resources, reviews and other information regarding the 5D Mark II and available accessories. A full-frame EOS DSLR gets even better-with 21.1 MP CMOS sensor and much more. All things considered, the Canon EOS-5D Mark II is a very impressive digital SLR. For the Canon enthusiast who wants to step up to a full-frame body, it’s an excellent choice. It’s 21.1 megapixel sensor is capable of taking breathtaking imagery, it’s AF system is very fast and entirely competent (if a bit dated), and it’s ISO performance opens up possibilities likely not seen by most photographers, especially those moving up from prosumer level cameras. For users who’ve been wanting a full-frame SLR, there’s no doubt that the EOS 5D Mark II is a great option. Kudos to Canon for taking a great camera and finding ways to make it better. We have always placed a heavy emphasis on image quality, and all other things aside this means the 5D Mark II has to receive our highest rating. The full-frame sensor translates to superior flexibility when shooting wide-angle and panoramic scenes, the high megapixel count means more flexibility in cropping and editing files, and the extraordinary level of customizability allows users to tailor the camera features to precisely match their image style desires and shooting preferences. I can see some of the ‘weaknesses’ it has compared to the 1 series but, those aside, it is really good. For me, the image quality coupled with the size and weight of the camera are very, very appealing. While there are some definite stumbles-in particular, the focus system in low light was disappointing-other features live up to the hype. As a very solid low-end full-frame camera, the 5D II is definitely no flash in the pan. It represents an advance in features over the original EOS 5D and the overall image quality is generally higher-though that higher quality may only be revealed in large prints. Canon users may now have the resolution of the 1Ds Mark III in a smaller and much cheaper body, but it’s clear that the similarities end there. 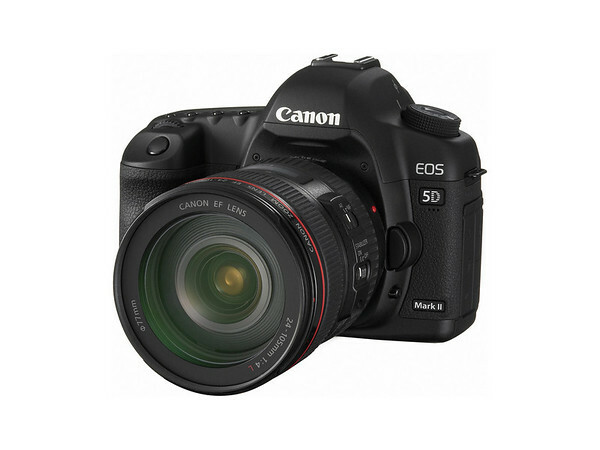 Rather than being a straightforward derivative of its pro sibling, the 5D Mark II has its predecessor as its template, but with its 50D sibling as a strong influence. With superb image quality and performance, the new 5DMk2 can confidently continue to fill the gap between Canon’s entry/consumer-level and all out pro dSLR models. Priced under $2700, the Canon EOS 5D Mark II is an impressive camera that enables the user to capture monstrous, pro-quality still and video image files for far less than half the price of Canon’s flagship EOS 1Ds Mark II. The Canon 5D Mark II is indeed a premium digital SLR. It’s not just the very high resolution that makes it stand out, but the excellent high ISO performance, effectively giving you the freedom to shoot handheld in conditions where you’d normally need a flash or a tripod. It is a great upgrade to all owners of non-1-Series bodies – and even some 1-Series body owners are going to want one. The EOS 5D Mark II is a very good camera for enthusiasts who are looking for a full-frame option, and has all the bells and whistles which makes this shooter not only a decent still image shooter, but also an industry grade video camera, too, as long as you have proper equipment. The image quality is simply amazing with very high resolution and very good high ISO performance. As far as image quality is concerned, I think most users would be more than pleased with the 5D Mark II. However, in areas such autofocus, Canon still lacks behind the competition. Image noise was barely visible in test shots taken at ISO settings up to 3200, regardless of whether they were short or long exposures. Beyond that point, the visibility of noise increased steadily, although colour accuracy and sharpness were retained right up to ISO 25,600. Canon’s EOS 5D Mark II is a powerful and feature-packed DSLR that represents a significant upgrade over the original 5D, and a tough rival in the growing ‘affordable’ full-frame market. I don’t find a thing to complain about with regard to the build-quality of the 5D Mark II body. You have to realize, however, that I consider lightness in a camera to be an asset, not a liability. It takes a great full-frame DSLR, the original 5D (Pop Photo’s 2005 Camera of the Year), boosts damn near everything, adds high-definition video capture, and turns in an overall performance that makes it a virtual steal (or at least as close as a steal comes in this price bracket). Any image defects you see are most likely due to your own lack of expertise, and you had better have some extraordinarily good lenses to take advantage of the resolution. The body and autofocus alone make it my camera of choice. However, if I shot more street work, shot weddings, or just needed to finally get rid of that pesky Canon D30 finally (you guys know you’re out there) I’d say the 5D Mark II is a great buy. The point here is to review the video mode for the regular purchaser of the cam. They will most likely be disappointed in the video mode. I didn’t bother to mention how “fiddly” the whole operation is compared to a proper pro camcorder with zoom controls, a shoulder mount, etc., etc. There’s virtually no visible noise at all from ISO 50 all the way up to ISO 3200, with even the three faster settings of 6400-25600 producing perfectly usable images. Canon seem to have matched the low-light performance of the Nikon D3 and D700 whilst substantially increasing the resolution. Resolution is as good or better at the same ISO as the original 5D, but the range is extended somewhere between one and three stops in a sensor with 65% more pixels. Whether you were thrilled with the idea of the HD movie recording or not, one thing is for sure and that’s the Canon EOS 5D Mark II has improved over its formidable predecessor and offers solid performance as a semi-pro camera. I can’t wait to permanently get my hands on this baby. The phenomenally high ISO capabilities promise some unbelievable benefits especially to us event shooters. So here is the 5D Mark II, which punches high in terms of both resolution and features, headlining: 21 megapixels, 1080p video, 3.0″ VGA LCD, Live view, higher capacity battery. In other words, a camera that aims to leapfrog both its direct rivals, either in terms of resolution (in the case of the D700) or features (in the case of the DSLR-A900). United Kingdom/ Republic of Ireland, 17 September 2008: Canon announces the full frame, 21.1 Megapixel EOS 5D Mark II: the first EOS with full High Definition video capability. Compact, lightweight and with environmental protection, the successor to the EOS 5D boasts a newly designed Canon CMOS sensor, with ISO sensitivity up to 25,600 for shooting in low light conditions. The new DiG!C 4 processor combines with the improved CMOS sensor to deliver medium format territory image quality at 3.9 frames per second, for up to 310 frames. Triggered from Live View Mode, HD video capture allows users to shoot uninterrupted at full 1080 resolution at 30fps – for amazing quality footage with outstanding levels of detail and realism. The integration of HD movie capability into a high-end 21.1 Megapixel camera opens a multitude of new possibilities for photojournalists and news photographers. With its full frame CMOS sensor and outstanding ISO performance, the EOS 5D Mark II will appeal to any photographer in search of the finest camera equipment available – from studio and wedding to nature and travel photographers. 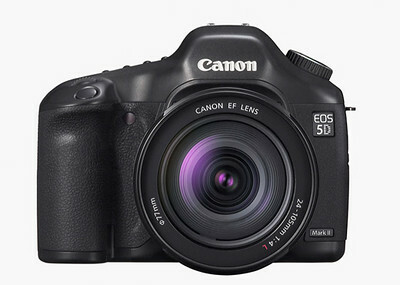 The EOS 5D Mark II (body only) is available from end of November 2008 priced at £2299.99 / €2999.99 RRP inc. VAT. The EOS 5D Mark II, EF 24-105mm f4.0L IS USM kit is available from end of November 2008 priced at £3049.99 / €3999.99 RRP inc. VAT. The EOS 5D Mark II newly designed full frame 21.1 Megapixel CMOS sensor features ISO sensitivity from 100-6400, expandable to 50, 12,800 and 25,600. Large 6.4µm2 pixels have been redesigned to capture more light and yield a better signal to noise ratio to ensure lower noise images throughout the ISO range. The full frame sensor has the same dimensions as a frame of 35mm film. This means that wide-angle lenses stay wide, without the change in angle of view associated with smaller sensor cameras. As well as benefiting from finer control over depth of field, photographers moving up to the EOS 5D Mark II full frame format will find the newly designed wide, bright 98% coverage viewfinder a joy to work with. A new DiG!C 4 processor combined with 14-bit analogue to digital conversion provides smooth gradations in mono-tonal areas such as skies, and highly accurate colour rendition. As well as HD movie shooting, DiG!C 4’s high speed provides for long uninterrupted continuous bursts of large JPEGs, near-instant start-up times and immediate and fast review after shooting. DiG!C 4 also provides for improved noise reduction algorithms, complementing the already low noise images from the EOS 5D Mark II CMOS sensor. The EOS 5D Mark II is Canon’s first D-SLR to incorporate full HD 1920×1080 video capture. Once filming is started from Live View mode, photographers can fire off either single or continuous stills, with video capture continuing after the final frame is captured. A new 3.0” VGA resolution LCD provides a wide 170º angle-of-view, providing plenty of clarity for accurate focus checks in playback. The screen brightness can automatically adjust to suit viewing conditions, extending battery life in low light and improving viewing in bright conditions. A new dedicated Live View button switches modes to display a real-time image on the LCD. This allows EOS 5D Mark II photographers to enjoy simplified shooting from awkward angles. Simple connection to a PC provides easy remote shooting. A 9-point auto focus system is supported by 6 additional invisible Assist AF points, located inside the spot-metering circle to optimise subject tracking performance in AI SERVO AF mode. For accurate exposure readings in tricky lighting conditions, the spot metering circle covers just 3.5% of the frame. The EOS 5D Mark II redesigned menu system includes a new Quick Control screen, for instant access to the most commonly changed settings. A new Creative Auto mode allows photographers to cede control of key settings to the camera, while retaining control over creative variables such background blur, drive mode and image brightness. Custom user settings allow photographers to switch between two completely different camera setups. This is ideal for changing quickly between two different environments, such as switching from working inside a church without flash to outdoors with fill-flash at a wedding. Shooting flexibility is enhanced with a range of new accessories. Shooting capacity can be extended with either the high capacity 1800mAh lithium-ion Battery Pack LP-E6, or Battery Grip BG-E6. A new optional Wireless File Transmitter – the K271 – offers external HDD and GPS compatibility along with the ability to transmit images direct to computer or FTP server, or operate the camera wirelessly. Both the BG-E6 and K271 feature a vertical orientation shutter release and other key controls for comfortable portraiture work, with a substantial grip to help balance the camera when used with long lenses.